Safety first! 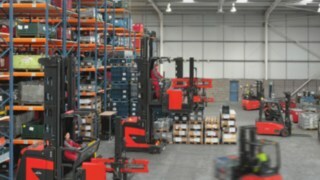 Whether employees are operating a forklift truck or walking, they quickly lose sight of potential risks when working. They may either be inattentive or absorbed in their work. Loud noises are distracting and can drown out important warning signals. This can all cause dangerous accidents on business premises. 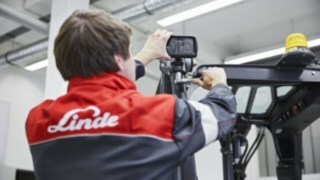 The innovative Linde BlueSpot™ driving path warning system minimises risk without making a sound. 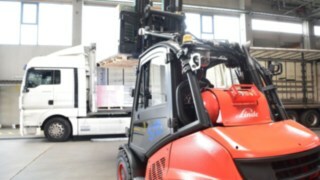 The LED light of the Linde BlueSpot™, attached to the operator’s protective roof frame, project a blue warning spot onto the ground. 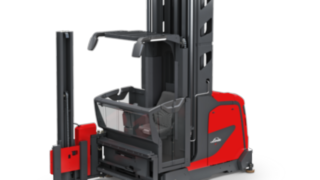 This warns pedestrians and other forklift operators of approaching trucks. 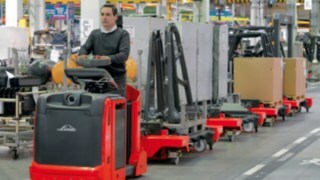 This visual solution from Linde Material Handling intuitively draws attention to moving forklift trucks. 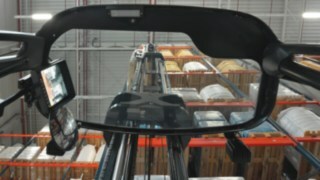 It therefore significantly increases safety, both in aisles and at crossings where visibility is poor. 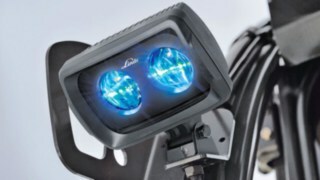 The Linde BlueSpot™ consists of two bright, anti-glare LED lights that project a blue spot onto the ground. 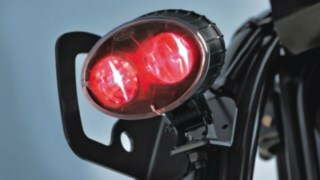 They can be set to either shine constantly or flash. 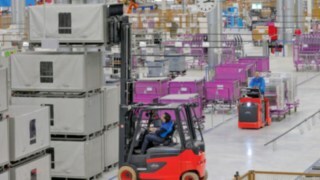 The light spot is positioned several metres ahead of the forklift truck, whether it’s travelling forward or backward. 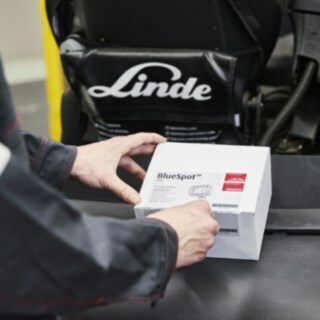 It lasts an impressively long time: The Linde BlueSpot™ lasts for more than 20,000 hours, as the LED technology enables high light intensity with low levels of energy. 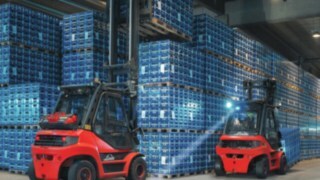 The Linde BlueSpot™ with a red LED light is particularly useful if the colour blue is already used for other warning notices, or if red would be a stronger contrast against the ground. 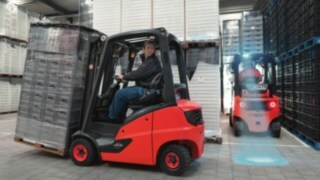 Thanks to the high-performance LED lights of the Linde BlueSpot™, employees are made aware of circulating forklift trucks in a pleasant, yet effective way; no loud noises, nothing to startle them, no risk. 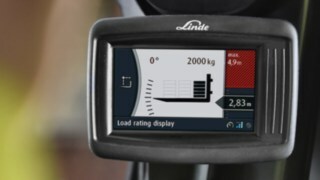 Linde’s warning signal solution has been given a suitably positive response by employees. 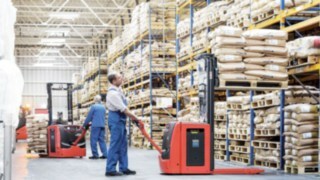 Even visitors to the factory instinctively recognise the Linde BlueSpot™ as a warning and react accordingly.